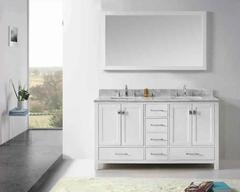 Create a beautiful setting in your master bedroom with help from the lovely Emily collection. The pieces carry either a rich cherry or warm oak finish and are crafted from pine solids as well as oak veneers. The low-profile bed features an arched panel headboard with simple molding that adds to the classic country cottage style. Plus, the ample storage space is wonderful for keeping sweaters, jeans, blankets, towels, bedsheets, books and DVDs. Enjoy a calm and tranquil setting while you relax in bed with a morning cup of coffee with help from the Emily collection. 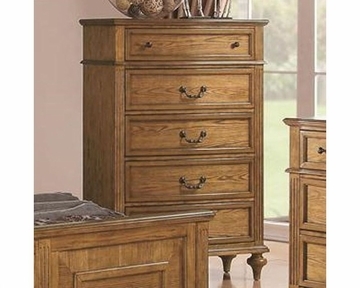 Bring ample storage space into your bedroom with this drawer chest. The piece carries either a cherry or oak finish and is crafted from pine solids and oak veneers with simple molding, fluted columns and turned legs. Plus, the five drawers are wonderful for keeping sweaters, jeans, blankets, bedsheets and towels. 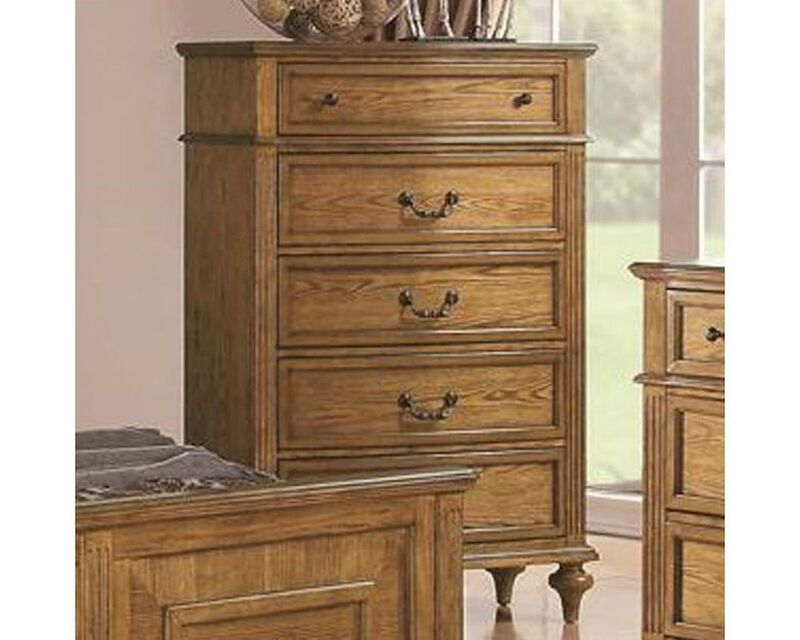 Add a little function to already fashionable design with help from this handsome chest.